Want to turn that big screen TV in to a stunning virtual aquarium? Then get Aqua TV - a fully customisable virtual aquarium that lets your Switch do just that! 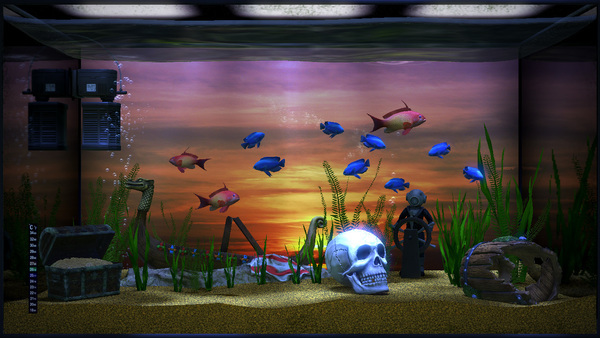 Choose a tank then change the floor, walls, decoration – and of course fish – to make the aquarium YOU want! Or select the Tropical Reef and add an amazing array of sea life! All rendered in glorious 3D. And all easily controllable using touch when the Switch is in Portable mode or Joy-Con in Docked mode! - Beautifully created and animated 3D fish. - Loads of customisation options to make the tank look just as you want. - Shuffle mode to switch between multiple tanks at random. - View tanks from the front, or from above! - Select from three chilled out soundtracks.